MSNBC just completed a record-setting quarter in total viewers in every key daypart and for every hour between 9 a.m. and 11 p.m. on weekdays. 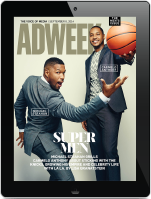 The network averaged nearly 1.9 million total prime time viewers in Q1 2018, +30 percent from Q1 2017, and was the second-most-watched cable network in prime time. The network also posted +20 percent growth in the prime time demo from last year, +20 percent total day viewer growth, and +21 percent growth in the total day demo versus Q1 2017. Additionally, MSNBC beat rival CNN in total viewers across all relevant day parts, and in the prime time demo this quarter. It also delivered all-time network highs for every weekday hour from 9 a.m. – 11 p.m., as well as weekends in the 10 a.m. hour. But MSNBC did fall short to CNN in the A25-54 across total day and on weekends. Q1 2017 had been MSNBC’s best quarter ever in prime time. Rachel Maddow has the No. 1 show on cable news among adults 25-54. The 664,000 demo viewers who tuned into The Rachel Maddow Show in Q1 2018 represents the network’s largest quarterly delivery ever. Her ratings have rubbed off on 10 p.m. host Lawrence O’Donnell. The Last Word also delivered its largest demo audience ever. Morning Joe is beating its CNN morning show rival in the key categories, while The 11th Hour with Brian Williams scored a quarterly victory over its 11 p.m. cable news competition. NEW YORK (April 3, 2018) – For the 1st quarter of 2018, MSNBC dominated CNN with record-breaking total-viewer ratings in every key daypart and for every hour between 9am and 11pm on weekdays. According to Nielsen, MSNBC dayside (M-F 9am-5pm), prime (M-F 8-11pm), full day (M-F 6am-2am) and total day (M-Su 6am-6am) achieved record highs in total audience and beat CNN. MSNBC, with record viewership, was the 2nd most-watched network across all of cable in prime (M-F 8-11pm), beating CNN for the 8th straight quarter. Prime averaged 2,362,000 viewers, up +29% compared to 1Q17, and finished as the only cable news network to post growth in the daypart year-over-year (vs. FOX News’ -13% and CNN’s -15%). In A25-54, MSNBC prime averaged 516,000 viewers, its best A25-54 delivery since 4Q08. MSNBC beat CNN for the 4th quarter in a row and ranked #7 among all cable networks in the time period, up +24% over 1Q17 (vs. FOX News’ -13% and CNN’s -13%). It was also a record for MSNBC during the full week of prime (M-Su 8-11pm), beating CNN for the 5th straight quarter in total viewers and was the only cable news network to gain over 1Q17 (+30% vs. FOX News’ -13% and CNN’s -17%). In addition, MSNBC M-Su 8-11pm topped CNN for the 4th straight quarter in A25-54 and was again the only cable news network to grow over 1Q17 (+20% vs. FOX News’ -14% and CNN’s -16%). “The Rachel Maddow Show” was the #1 cable news program in A25-54, averaging 664,000 viewers A25-54 – MSNBC’s best quarterly delivery at 9pm ever. “Maddow” averaged 3 million viewers, beating CNN for the 8th straight quarter. “Maddow” was the only cable news program to achieve growth in the timeslot over 1Q17 for both A25-54 (+26% vs. FOX News’ -11% and CNN’s -17%) and total viewers (+34% vs. FOX News’ -7% and CNN’s -18%). “The 11th Hour with Brian Williams” topped the competition at 11pm to become the #1 cable news program in total viewers and A25-54. “The 11th Hour” beat both FOX News and CNN in A25-54 for the 3rd straight quarter and hit a record rating of 366,000 viewers A25-54, up +20% (vs. FOX News’ -20% and CNN’s -15%) over 1Q17. In total audience, “The 11th Hour” was #1 for the 4th quarter in a row with 1,598,000 viewers, almost doubling CNN and growing by +23% (vs. FOX News’ -9% and CNN’s -18%) over 1Q17. “Morning Joe” at 6am continued to dominate CNN in both total viewers and A25-54. In total viewers, “Morning Joe” bested CNN for the 12th quarter in a row, averaging 1,073,000 and posting the most cable news growth in the time period (+35% vs. FOX News’ -6% and CNN’s +5%). “Morning Joe” hit new highs with an average of 249,000 viewers A25-54, beating CNN for the 3rd straight quarter and growing more than the competition (+37% vs. FOX News’ -8% and CNN’s +6%). “The Last Word with Lawrence O’Donnell” at 10pm had a record-breaking quarter. The show posted its best A25-54 delivery ever (averaging 492,000) and beat CNN for the 4th quarter in a row. “The Last Word” increased +26% over 1Q17 (vs. FOX News’ -22% and CNN’s -12%). This quarter also marked the hour’s best total viewer delivery in the history of MSNBC, as “The Last Word” beat CNN for the 11th straight quarter and averaged 2,262,000, up +24% (vs. FOX News’ -12% and CNN’s -15%) over 1Q17. 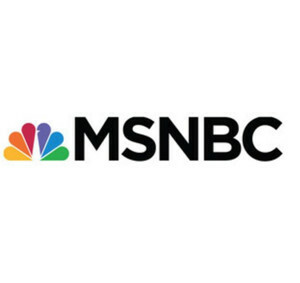 MSNBC’s all-day breaking news coverage and in-depth analysis drove its best total-viewer deliveries in full day (M-F 6am-2am), total day (M-Su 6am-6am) and dayside (M-F 9am-5pm) in the network’s history, as all three dayparts crossed the 1 million mark. MSNBC was the 2nd most-watched network across all cable in total day (ahead of CNN #8) and full day (ahead of CNN #6). In total day, MSNBC was the only Top 10 cable network to show growth over 1Q17 in the time period (+30% vs. FOX News’ -16% and CNN’s -13%), averaging 1,008,000 total viewers and beating CNN for the 4th straight quarter. In total day, MSNBC had its best A25-54 delivery in almost a decade (since 4Q08) and was up +21% (vs. FOX News’ -16% and CNN’s -12%) over 1Q17. Additionally in the full day time period, MSNBC was also the only Top 10 cable network to show growth over 1Q17 (+34% vs. FOX News’ -16% and CNN’s -11%), averaging 1,320,000 total viewers and beating CNN for the 5th straight quarter. In A25-54, full day on MSNBC grew +30% over 1Q17 and beat CNN for the first time since 1Q14 (vs. FOX News’ -17% and CNN’s -9%). It was MSNBC’s 4th straight quarter of growth in full day. During dayside, MSNBC averaged 1,015,000 and beat CNN for the 3rd straight quarter. MSNBC was up +37% (vs. FOX News’ -22% and CNN’s -11%). In dayside for A25-54, MSNBC saw its best A25-54 delivery in more than 15 years (since 4Q01) and is up +33% (vs. FOX News’ -23% and CNN’s -10%) over 1Q17. In addition, many MSNBC programs were instrumental in propelling MSNBC to the network’s highest-ever total viewer ratings. The following shows achieved record ratings for their respective hours and beat CNN as well: “MSNBC Live with Stephanie Ruhle” at 9am (topping CNN for the 5th straight quarter); “MSNBC Live with Hallie Jackson” at 10am (for the 3rd straight quarter); “MSNBC Live with Velshi & Ruhle” at 11am (for the 3rd straight quarter); “Andrea Mitchell Reports” at 12pm (for the 3rd straight quarter); “MSNBC Live with Craig Melvin” at 1pm (for the 3rd straight quarter); “MSNBC Live with Katy Tur” at 2pm (for the 2nd straight quarter); “MSNBC Live with Ali Velshi” at 3pm (for the 2nd straight quarter); “Deadline: White House” at 4pm (for the 3rd straight quarter); “MTP Daily” at 5pm (for the 4th straight quarter); “The Beat with Ari Melber” at 6pm (for the 3rd straight quarter); “Hardball with Chris Matthews” at 7pm (for the 19th straight quarter); “All In with Chris Hayes” at 8pm (for the 5th straight quarter); “The Rachel Maddow Show” at 9pm (for the 8th straight quarter); and “The Last Word with Lawrence O’Donnell” at 10pm (for the 11th straight quarter). On the weekends, “AM Joy” also scored record ratings, beating CNN at 10am on Saturdays (for the 2nd straight quarter) and Sundays (for the 1st time ever for a quarter). Building on the success of dayside, MSNBC’s strategy to extend live, breaking news coverage on weekends led the network to deliver the only cable news growth in both total viewers and A25-54 over 1Q17. In total viewers, MSNBC weekend (Sa 8am-6pm/Su 8am-9pm) was up +15% (vs. FOX News’ -19% and CNN’s -18%). In A25-54, MSNBC weekend was up +6% (vs. FOX News’ -19% and CNN’s -19%) over 1Q17. MSNBC.com video viewers watch for an average of 58 minutes, more than four times that of a FOXNews.com or CNN.com viewer (source: comScore 2018TD multiplatform video Jan-Feb monthly averages). NOTE: 1Q18 ratings are based on Nielsen Live+Same data day for Jan. 1 – Apr. 1, 2018. Individual show data represents regular programming only, excluding specials and breaking news.